Katie Morales is an agency owner of the Goosehead Insurance - Morales & Holmes Group, LLC franchise. 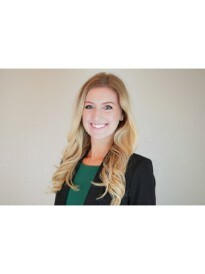 Prior to partnering with Goosehead, Katie worked as a CPA for the number one accounting firm in the world where she served Fortune 500 companies, and gained professional experience in client satisfaction and customer service. Katie loves shopping for good bargains and is passionate about helping people. As licensed professionals, Katie and her Goosehead team invest time in their clients to understand their situation. We consult and advise our clients on the right insurance coverage and further utilize our state of the art software to identify which insurance company has the best price for our clients’ specific needs. Katie saves her clients time and energy by running quotes extremely fast and providing all paperwork documentation online. Various insurance companies refuse to insure individuals with older homes, swimming pools, trampolines, and even certain pets. As such, we believe the more insurance options we have for our clients the better we can serve them. Furthermore, it is always a good idea to shop around and compare plans that are similar because getting different quotes can help you find the best rate and save your hard-earned money. Goosehead works with multiple top-rated insurance companies, which makes it easy for us to compare quotes and find the best rate. We are experienced in shopping the market because we do it every day to save our clients time and money. With our cutting edge technology, Goosehead has changed the insurance game. We have made the difficult process of buying insurance extremely simple, efficient, and effective. Katie is an experienced professional and is committed to putting her clients first by providing exceptional service and guidance. Katie’s goal is to develop long-lasting relationships with her clients built on trust, honesty, loyalty, and integrity. Thank you for your interest in Katie Morales, please contact her today for an insurance quote, meeting, or job application.